Local police say that there may be charges levelled. A 40-YEAR-OLD woman is recovering in hospital after being shot by her two-year-old grandson. 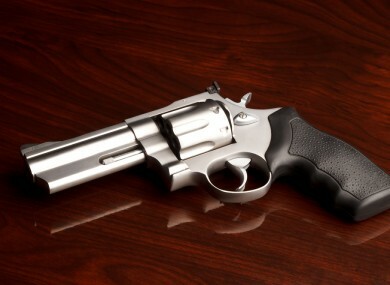 Police in the South Carolina city of Rock Hill say that the boy found the .357 revolver in the pouch on the back of his grandmother’s seat while she was driving. He then fired the gun. Local TV station WBTV reports that the woman turned around on hearing the gun shot, before realising she had been wounded. Rock Hill Police Captain Mark Bollinger told the station that the woman was “lucky”. “She’s probably lucky that it hit the car seat first because it slowed down the momentum of the bullet. He added that there may be charges pressed. He encouraged local gun owners to “get gun locks”. Read: It’s Hillary Clinton’s turn to debate tonight – what can she expect? Email “Two-year-old finds gun in car, shoots grandmother in the back”. Feedback on “Two-year-old finds gun in car, shoots grandmother in the back”.